Dishoom is a Bombay café and restaurant located across London. It pays homage to the Irani cafés that were once part of the fabric of life in Bombay that now have almost all disappeared. Their faded elegance welcomed all: rich businessmen, sweaty taxi-wallas and courting couples. Fans turned slowly. Bentwood chairs were reflected in stained mirrors, next to sepia family portraits. Students had breakfast. Families dined. Lawyers read briefs. Writers found their characters. 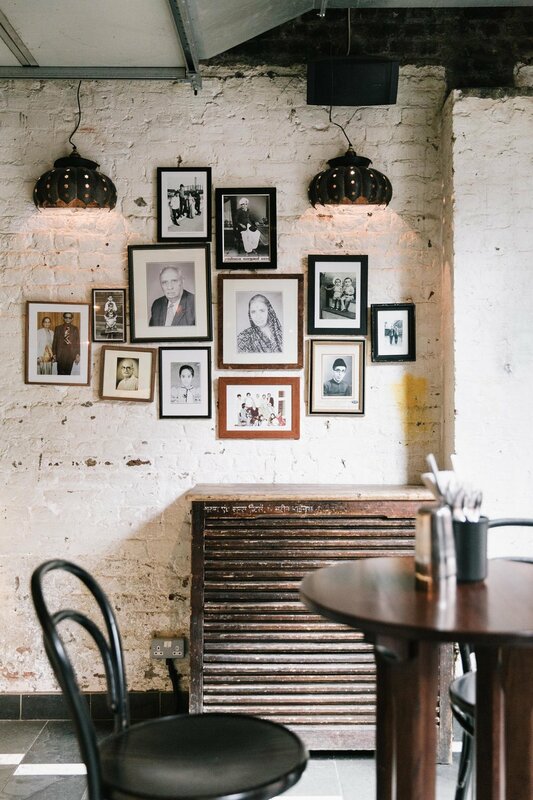 Dishoom is beautifully designed, making you feel like you're in an Irani café back in Bombay in the 60s, offering amazing food that makes you want to stay forever. I photographed their Shoreditch branch for Portfolio magazine.